Well, I’m sort of sad to be done with my Christmas knitting. 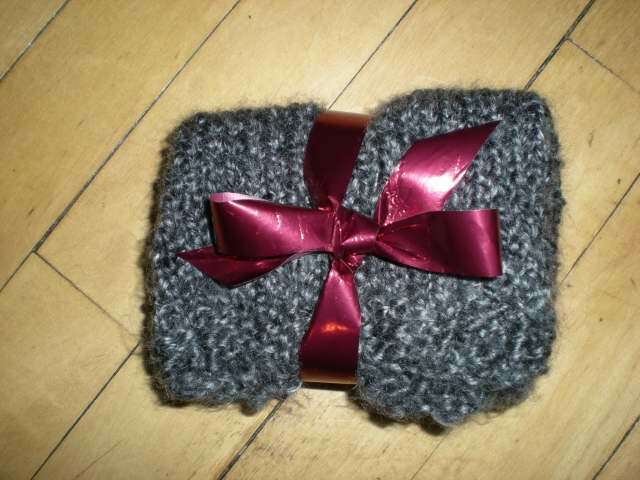 I won’t miss the frantic time crunch, but I will miss the excitement of giving away so many handmade goodies. Of course, I’ll continue giving away the majority of what I make, but there’s something extra fun about having to be sneaky so my friends won’t know what I’m knitting or who it’s for. 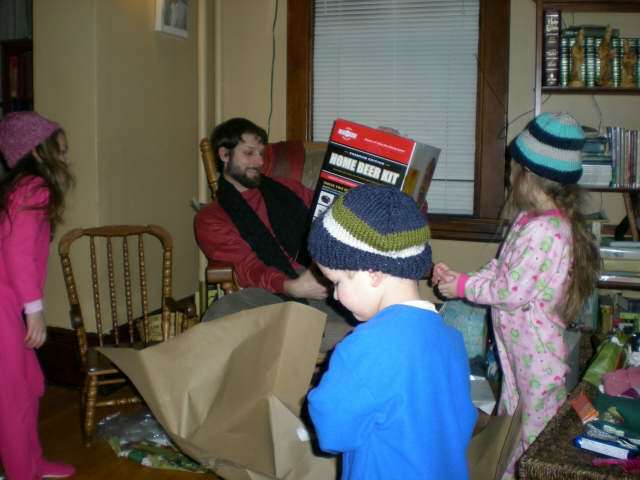 Christmas morning with the Joneses – Matt’s scarf and three hats for Jones kids. I don’t know why they won’t wear them over their ears – I made extra sure to make them long enough so they could. Minnesota winters, dontchaknow. 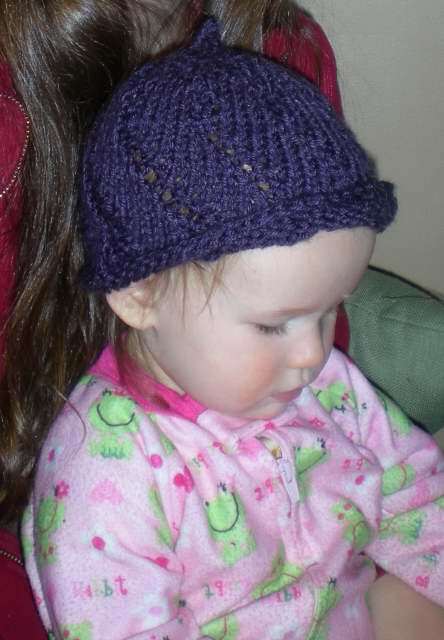 Johanna’s hat pattern can be found here on Ravelry. I got Annie’s pattern from Charmed Knits. I found Matt’s scarf pattern in the Chicks With Sticks Guide to Knitting. 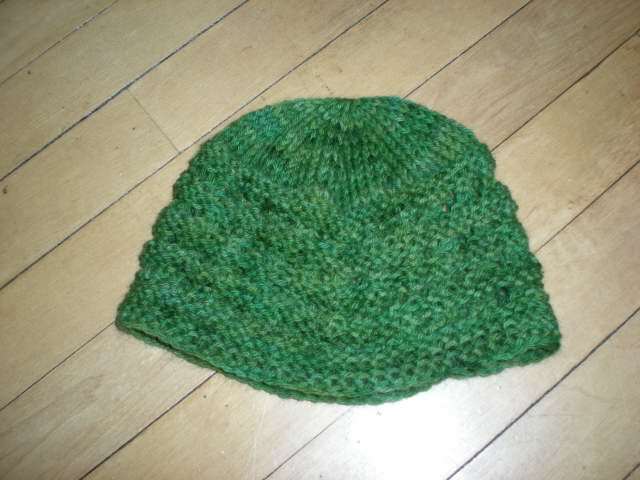 Needless to say, my head is likely to explode if I knit one more hat. My next project? 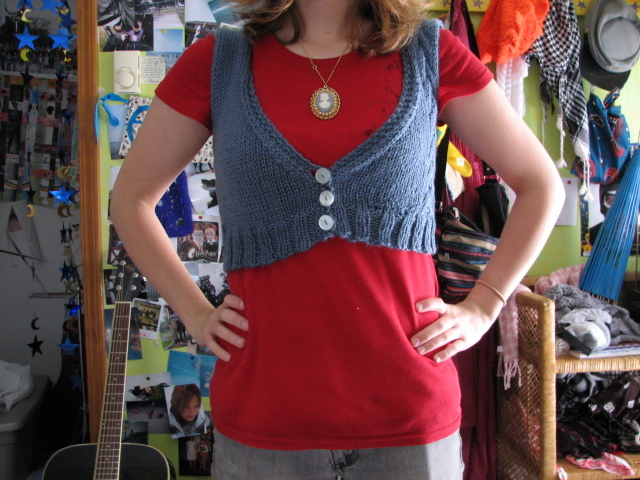 A super cute cropped vest by Erin Archer. I stumbled on her blog while pattern-hunting on Ravelry and I’m hooked. She’s my new muse! whats taylor swift got to do with christmas? Absolutely nothing, but I still like her a lot. Especially when I feel like indulging my inner 15 year old.